What Does the Jakara Movement Mean to You? How do these conferences, camps, events, and workshops all tie together? With such an amalgamation of sevadar/nis and other participants, far too few see what the larger cause and goal is. In recent conversations, this has become even more apparent. So maybe it's time to ask the question - what does the Jakara Movement mean to you? From our perspective the purpose of the organization is rather simple and two-fold - 1) social justice and 2) "cradle-to-the-grave" inclusive engagement with Sikhi. 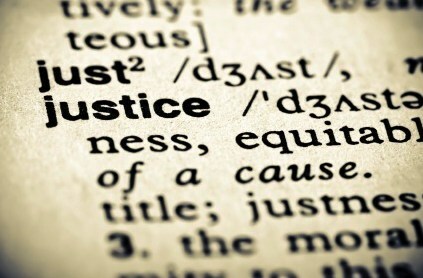 1) The word 'social justice' has become almost trite in our community. Many organizations tend to use this word, without actually understanding what it means. We confuse advocacy and lobbying with community organization and social justice at our own risk. To look in the nirmal/clear mirror (that Bhai Gurdas describes) and look at ourselves and our community and to be critical - not out of malice or 'self-hate' - but to dissent because we are not where our Gurus wanted us to be. Social justice is to fight against the 5 thieves that cause us to oppress others, in the same ways we have been oppressed. We have been both victimizers and victims. We have victimized others through our casteism (an ongoing apartheid), sexism (ongoing patriarchy and dominance), classism (who do we value and pay tribute to in our contemporary community? Is it Bhai Lalo or is it Malik Bhago? ), and other forms of oppression, just as we have been oppressed by the Mughals, Afghans of Abdali, British Raj, and current Government of India. No one is going to "save" us from this but ourselves. This is the genius of those 10 Nanaks. That Holder of the Hawk put the kirpan in our hand, gave us new name, life, & ancestry, and gave us the task to fight against oppressors without (those external) and those 5 great oppressors within. So while fighting for 'social justice' is the first component of the Jakara Movement it is tied to the second. 2) The second purpose is wedded to the belief that starting with all Sikhs, we have a duty to create channels of engagement for all Sikhs with their Guru. That means in an inclusive, non-judgmental, kind, compassionate, and empathetic way. That means we will create programs like Ladoos: Pink and Blue for newborn babies (challenging patriarchy and boy-preference and celebrating all children) , like Jakara Juniors camps (challenging, discussing, and inspiring on those issues that are never discussed), like Bhujangan (that celebrates and gives space for High School aged girls), like Bhujangi (that creates a safe space for young high school aged boys to become men), like Lalkaar (that challenges collegiate Sikhs to get involved in their community and take on casteism, sexism, and patriarchy, and human rights abuses), like Sikholars (that creates a forum for intellectual engagement with the Panth's most pressing questions), and more. A new dream is pushing us to reformulate this to connect with the local communities as the most important changes and challenges are at the local level. Our dreams does not end with ongoing projects. We hope to build domestic violence shelters and community youth centers; help work against labour exploitation that is rampant in our communities; and fight against all injustices as our Gurus demanded of us. This is our dream through community organizing with the Misl Movement. We've made mistakes; we'll probably make some more; but we will keep on pushing, keep on learning, and keep on inspiring. So now we ask you and we hope you share - What does the Jakara Movement mean to you?